Interested in dabbling in the world of Kydéa for yourself, whether for game play, story-writing, or just MOC building? Here are some tips to expand the possibilities. The main warring groups are the red-colored Northern & green-colored Southern Alliances. There are other factions, though, and you can play, write about, or MOC for more than just these two. When creating entirely new armies, just try to have at least one distinguishing feature that's kept common between all characters in each group, whether it's color, a particular style of face or armor layout, or just something decorative. Feel free to make substitutions! Everything I've written or shown is intended to be a guideline or inspiration. With the figures themselves, consider different skeleton designs, armor plate usage (including their gameplay values), and colors. Use your own existing MOCs if you want, or even official Hero Factory or Bionicle sets as proxies for Kydean fighters. 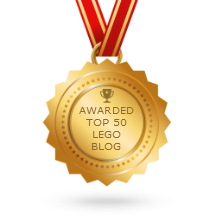 For miniaturized play, consider using minifigs or characters made from System pieces! 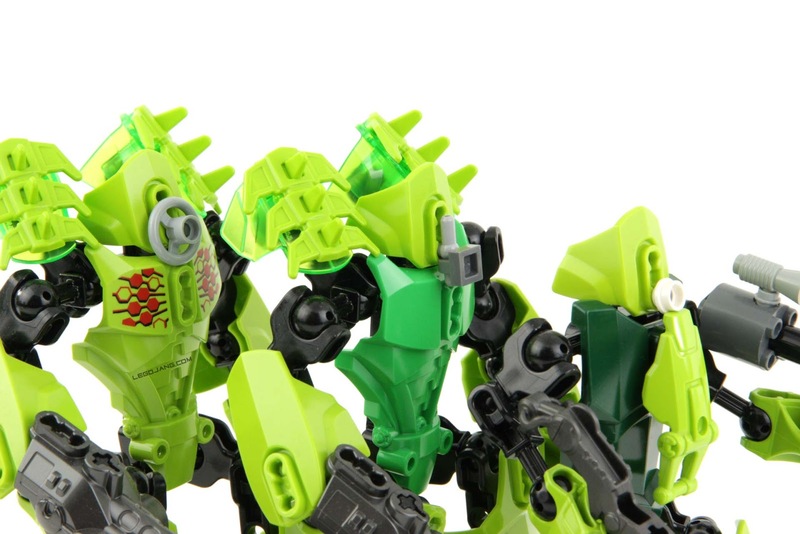 My own two sample Kydean armies use "Krana" faces from the old Bionicle Bohrok & Bohrok-Kal sets. Krana haven't been sold in new sets in many years, so you can often find them at very low prices on eBay or Bricklink. The image below shows three different ways you can attach these to a Hero Factory-style armor piece to create a Kydean head. The options on the left and right use an Exo-Force drone mini-figure hand that's inserted from the back of the armor. It leaves a peg- or lightsaber-sized protrusion to attach to. The round white 1x1 plate used on the rightmost example is the type that has a peg-sized hole in the top. I got mine from a Wild Wool game set. There are some other options as well. The key to know is that Krana have a normal LEGO stud-sized attachment point built into them, so you need to use pieces that will adapt to fit over a stud on one side, and ultimately connect to something lightsaber-sized on the other to attach to the armor. Don't have any Krana? Leave the face blank, or simply attach something else into one or both of the holes in the armor piece used to make the head! I've figured out a cleaner way of doing this, that creates a more helmet-like design. Use a robot hand piece on the inside; attach a single-stud horizontal bar holder clip-to-clip to it, with the stud facing inward. Put a single-stud round piece on the underside of that, which will be facing out. Just thought I'd stop by and thank you for giving me the inspiration; I don't know that I'd ever come up with this otherwise.